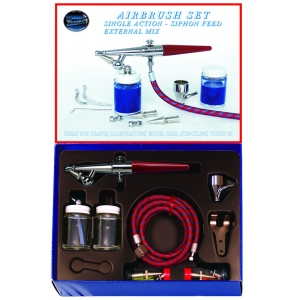 The world's most popular airbrush - recommended for all skill levels. 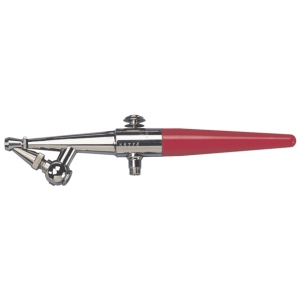 Sturdy and flexible, the H airbrushes are dependable and adaptable for practically any hobby or artistic use. The model H has a tapered socket for securing a bottle or a cup. These airbrushes come in three sizes — 1, 3 or 5. With the purchase of different size aircaps and color adjusting parts, any size originally purchased can be converted to the other sizes. Suitable for both left and right-handed users. * H#1, H#3, or H#5 airbrush.